Mzukisi is a keynote speaker, conference moderator, and a thought leader on global affairs, governance, and political economy. He has advised companies in the mining and finance sectors on political risk and public policy issues. Mzukisi has in the past fulfilled leadership roles that span across government, policy think tanks, and academia. Some of his major undertakings include a benchmarking study on the role of the state in mining, which entailed a field-based benchmarking study of mining regulation and policies in 5 countries; and more recently a major study on transparency in beneficial ownership, which offered policy insights on improving the governance of anti-money laundering institutions. Mzukisi has in the past also played a pivotal role in government as Chief Director responsible for developing South Africa’s trade policy at the department of trade and industry. 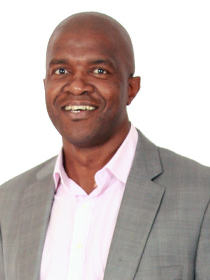 He is currently Associate Professor at University of Johannesburg. He serves on the Boards of Corruption Watch and Johannesburg Development Agency. He obtained his PhD from the University of Warwick, United Kingdom.